day 5 – yes we did! These words were like an arrow of light shot strait through my heart. Tears escaped from eyes that have held them hostage for too long. Tears of joy, relief and hope merging into one big river, flowing freely down my cheeks. There I was, sitting on my living room floor at 5am, sobbing as I witnessed history in the making. SOBBING, people. The first family walks on stage – sob. Camera pans to a close up of Jesse Jackson, with tears in his eyes – sob. Crowd shouts YES WE DID – more sobbing. Obama thanks the love of his life – can’t. stop. the. tears. He tells his children they’ve earned the puppy they’ll be bringing to the White House – crying a river here, folks. 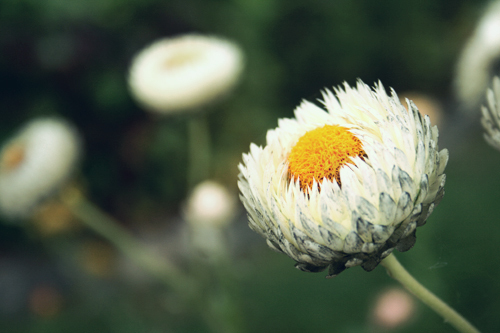 He mentions his grand-mother who just passed away – LOST IT. (If you haven’t already, I strongly encourage you to read and or view the whole speech here – just be sure to have a box of Kleenex nearby). This moment is so powerful, so beautiful, so inspiring… how can you NOT be touched. I mean this is huge. Up until the passage of the Civil Rights Act of 1964, African Americans were disenfranchised and racial segregation was still very much a reality in America. And now, 44 years later, a black man has been elected 44th President of the United States. But it’s not only the fact that Obama made it there that had me sobbing, it’s that millions of Americans wanting change, regardless of race, united to help him get there. How beautiful is that? As I walked to work this morning, the city was bathed in lazy Indian summer light, yellow leaves fell from trees and twirled all around me. A flock of pigeons took off in unison, circled the park and landed somewhere in the horizon, as if nature had decided to orchestrate a perfect moment for those willing to pay attention. There was a glow in the air. And I’m thinking it was the auric glow of millions of peaceful souls around the world, feeling hopeful for once in a very long time, shining brightly, filling the world with their inner light. I’m so glad this has brought you such happiness. I guess sometimes I feel a bit jaded about politics but your enthusiasm about all of this and the fact that this is indeed an historical moment that we’re priviledged to live through is quite inspiring. I must admit I’m curious to see what the future will bring. Nicely put. It’s so moving I just don’t even know what to do with myself, to be honest. I was sniveling like a baby right there with you…….and I am finding that every time I watch an Obama related video, I still am getting choked up and am on the verge of tears. I am filled with hope. This is a great post. I find it so hard to believe that there was a time so recently when so many people were treated this way. I’m over the moon because Obama is so well spoken and seems to have a really nuanced understanding of the world around him, when you put race relations in there too? I was a school boy in Birmingham, Alabama during the struggle for voting rights. 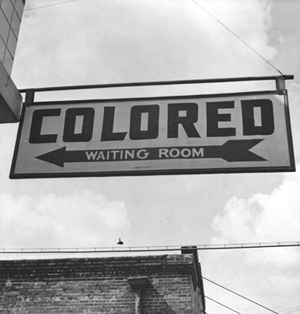 I remember the “White”, “Colored” signs very well. I was a college undergrad during the Vietnam War circa Weathermen/Bill Ayers. I had feared the idealism of the 60’s had been lost forever. Seeing Obama in Grant Park I felt like my life had come full circle and the Universe was saying “Welcome Home.” YES WE CAN!